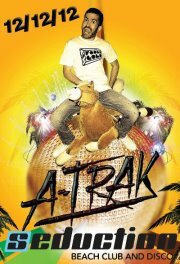 DJ Line up – Welcome back Xane!!! 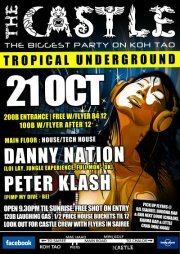 Welcome to the most beautiful party experience on Koh Phangan…. 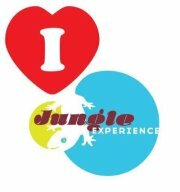 The Jungle Experience is one of the original underground dance gatherings in Koh Phangan. This unique eco party location in a beautiful secret garden clearing deep in the midst of the Baan Tai jungle has a natural mountain stream running through the party zone and leading you to the stunningly decorated dancefloor. Enjoy our free pool table and a professional four person fire show performance at every event to ensure you have a unique party experience which will stay in your heart forever. Drinks and good food are available though out the night and trusted taxis will ensure your safe journey home at any time. 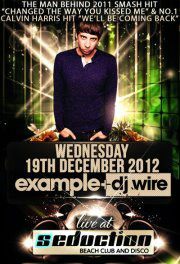 Ticket only 300 baht + 1 free drink!!! Jungle Experience is a unique Eco party location which will stay in your heart forever.. Respect nature and help us protect the forest on our Island. A musical extravaganza with top local resident & International DJ’s as well as professional dancers, performers, all kinds of Western & Thai acts, shows and entertainment for everyone!! We are also proud to show Phangan’s talent’s with many boutiques where you can shop! Hand made leather, jewellery , clothing and artwork….we will also show you ano ther side to Phangan with chilled areas where you can discover/try the many healing practises on the Island.